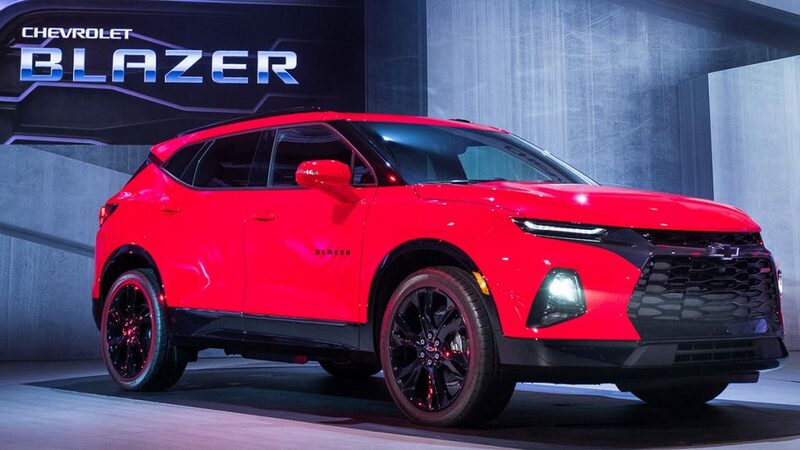 The 2019 Chevrolet Blazer is a new statement in luxury and style. The artfully designed and sporty Blazer is a Mid-size crossover SUV that comfortable seats 5 and pampers you with safety, comfort and convenience from head to toe. 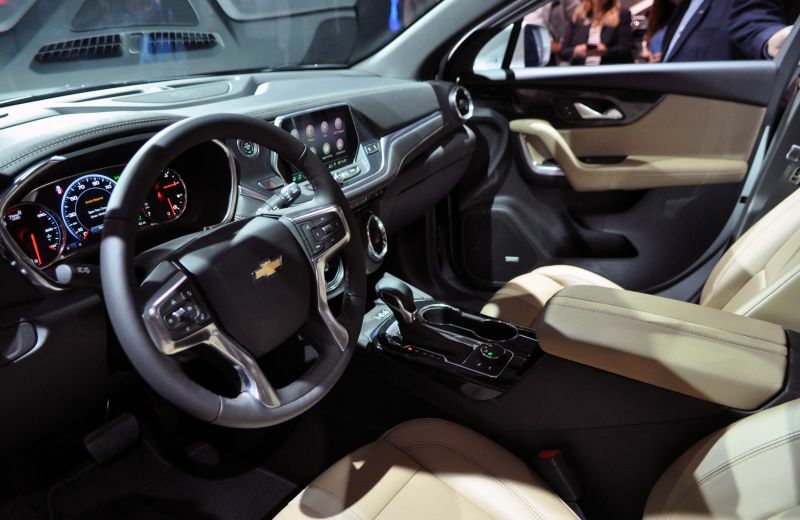 Sandpoint Chevrolet dealer appraised us that the new 2019 Chevy Blazer comes with a standard 8-inch diagonal touchscreen, a 2.5-Liter engine with the availability of a 3.6 Liter V6 engine, availability of an All-Wheel-Drive (AWD) when you go with the 3.6L engine and great towing power of up to 4500 lbs., with these options. The Blazer comes in three luxurious trims – the L, RS and Premier and choice of cloth or leather interiors on which we got some expert opinion. The bold stance of the Blazer combined with its sleek styling, gives it lots of elegance and refinement. Especially the unique front grill on the RS and addition of 20″ Medium/Dark Android machined-face aluminum wheelsPaired with all-season Blackwall tires on the RS and Premier is a design masterstroke that sets the Blazer far ahead of the competition. Even the base L trim has 18″ Bright Silver aluminum wheels to boast of. Some other fantastic features that are standard across all the trims are High-Intensity Discharge (HID) headlamps, Automatic on/off headlamps, LED Daytime Running Lamps, LED taillamps and Upper active aero shutters for better aerodynamics on the front grille. Panoramic power sunroof is available on the RS and Premier trims. The interiors are replete with luxurious and spacious seating, adjustable seating for both driver and front passenger, adjustable head restraints, Active Noise Cancellation, Air Filtration System, Bluetooth, 4G LTE Wifi Hotspot capability. Some advanced features highlighted by the experts were the standard HD Rear Vision Camera, and Front outboard Passenger Sensing System for frontal outboard passenger airbag and rear seat reminder for safety. The 60/40 split rear seatbacks can be folded and adjusted by sliding them front and back to customize your cargo space adding great flexibility. Keyless Open and Start, Cruise Control and and Dual Zone Automatic Climate Control and Tire Pressure Monitoring System with Tire Fill Alert take care of add comfort, convenience and safety. The L, 2.5L Cloth and 3.6L Cloth and 3.6L Leather trims come standard with a 4.2-inch diagonal color, Driver Information Center with a 6-speaker audio system and 8-point digital compass. This upgrades to a massive 8-inch system on the RS and Premier trims. A 8-inch diagonal color touchscreen infotainment system sits confidently across all the trims, with the Chevrolet Infotainment 3 system with voice command pass through phone, Bluetooth, Apple CarPlay and Android Auto integration provided on the L trims. The RS and Premier get the Chevrolet Infotainment 3 Plus and Premium respectively that add Navigation on the RS and Voice Recognition Navigation on the Premier, In-vehicle Apps, Cloud-connected personalization. The L trims seen at Sandpoint Chevrolet sport a peppy 2.5L 4-cylinder engine doling out 193 hp and 188 lb.-ft. of torque. The 3.6L V6 engine that’s available on these and standard on the 3.6L Cloth/Leather, RS and Premier is capable of 305 hp and 269 lb.-ft. of torque. These are all mated to a tailored 9-speed Automatic transmission.